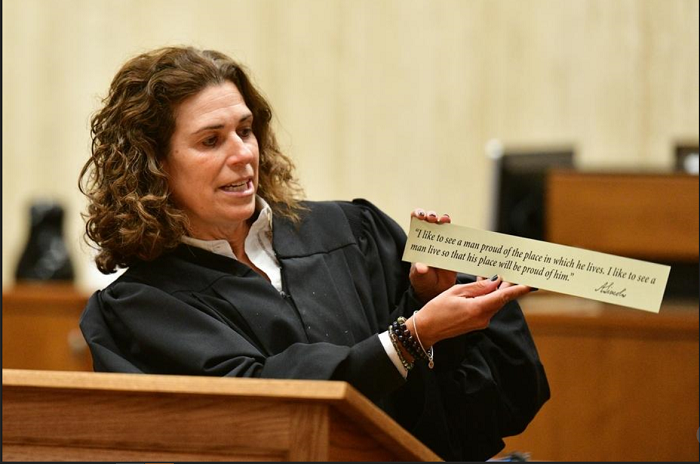 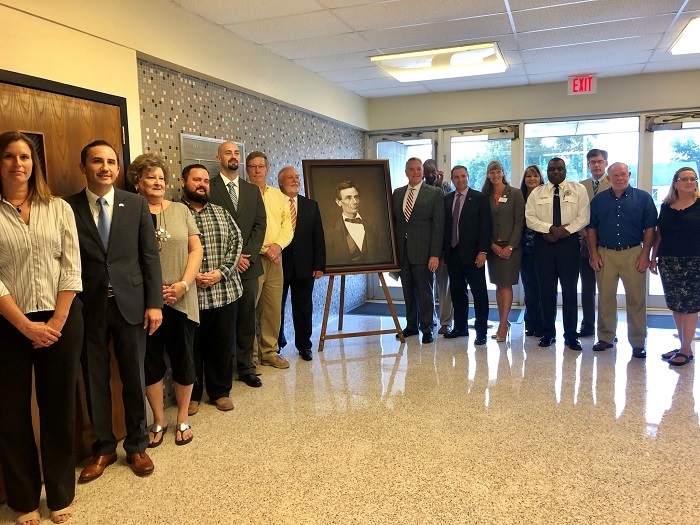 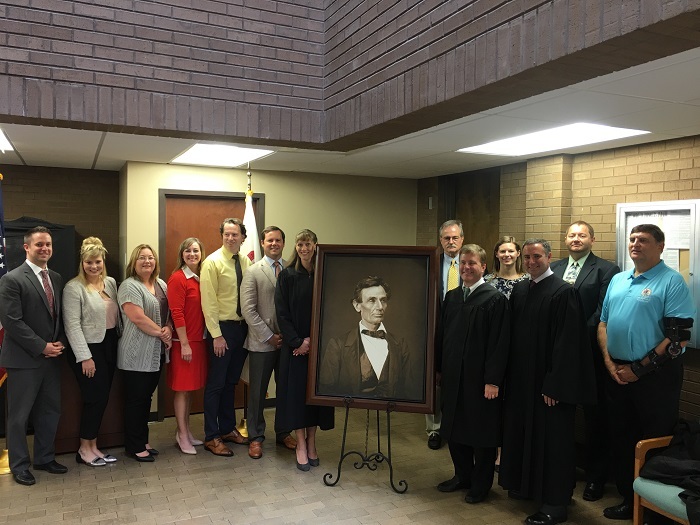 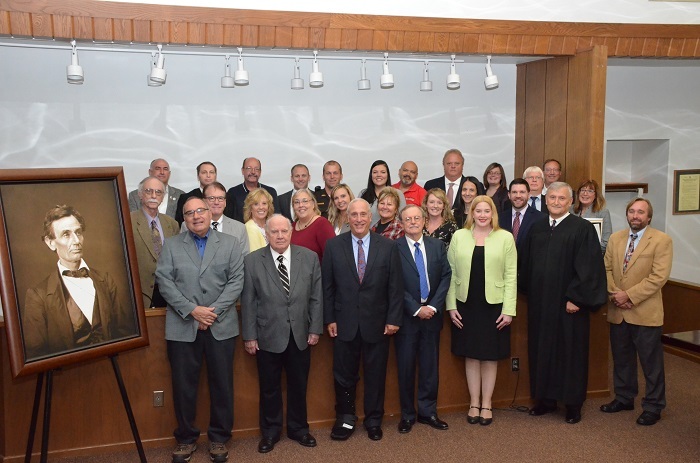 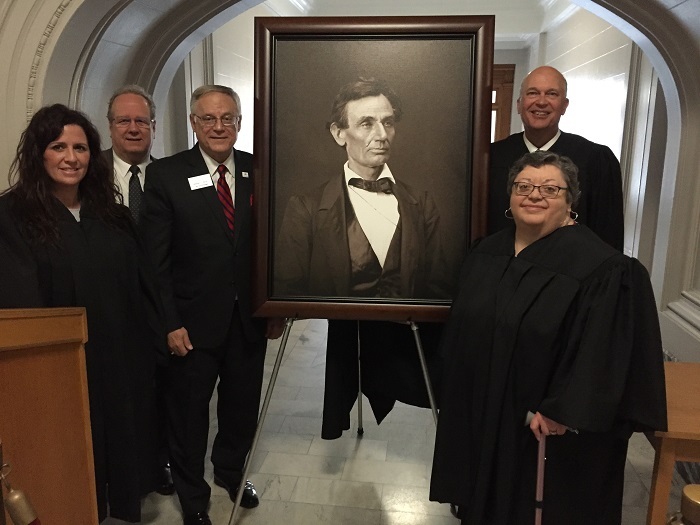 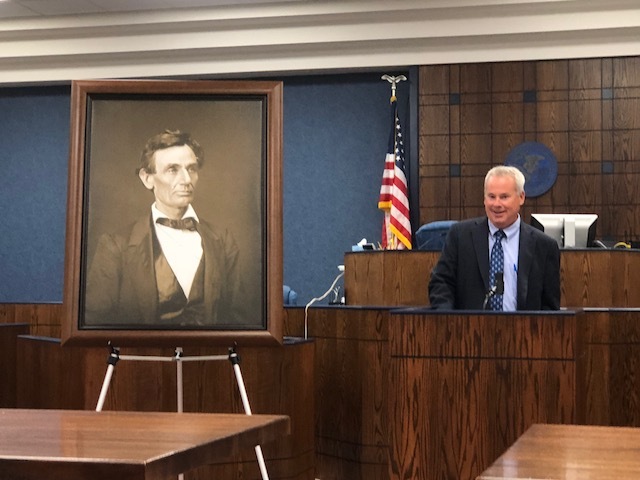 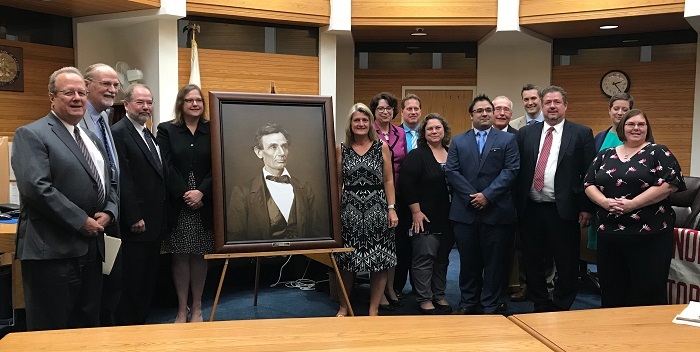 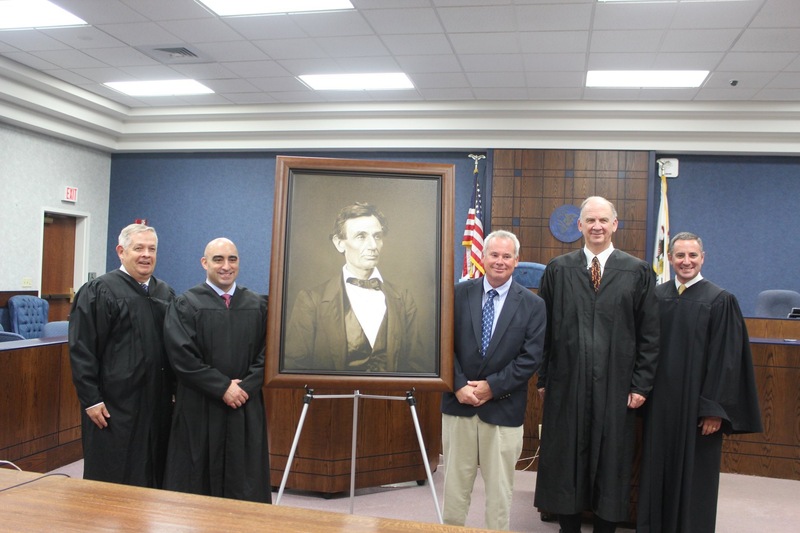 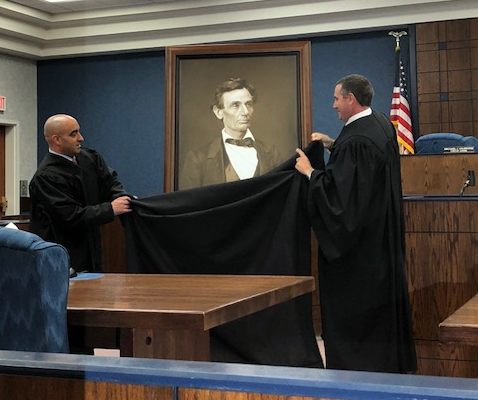 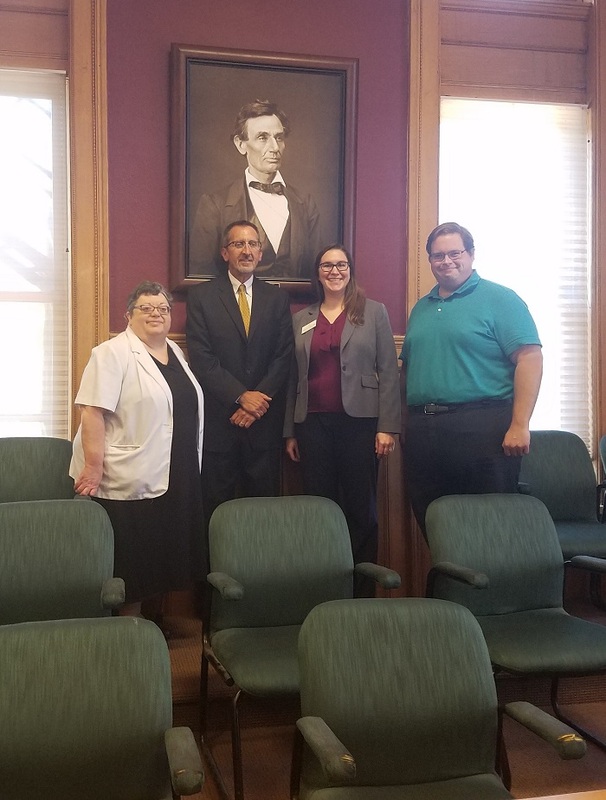 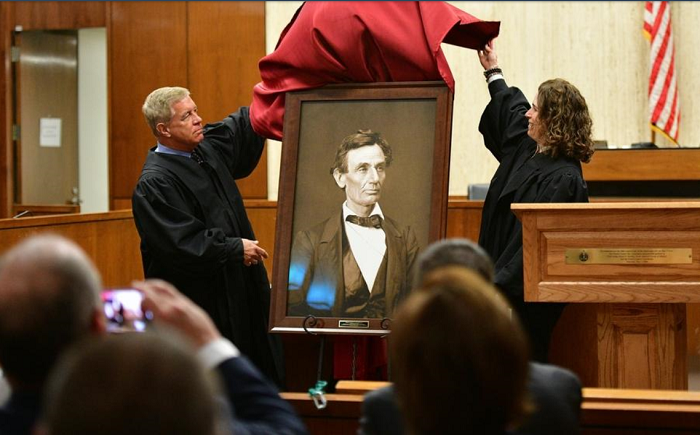 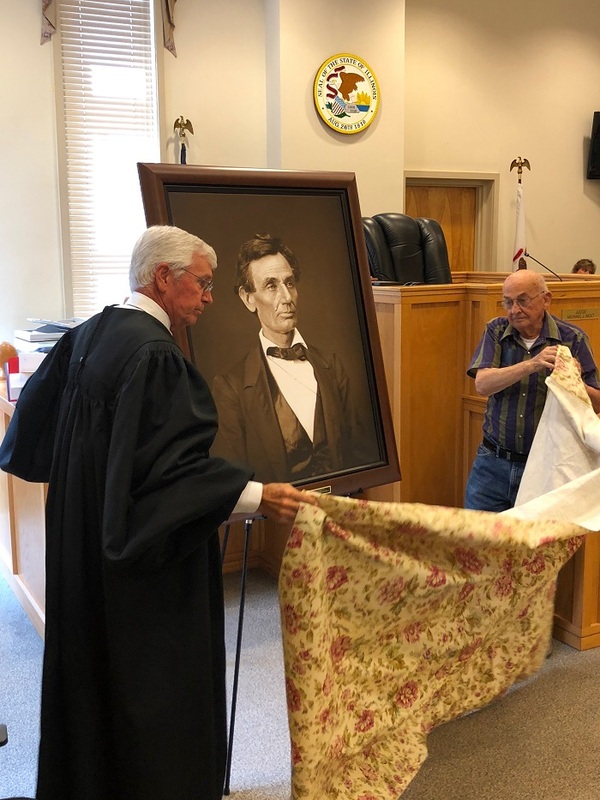 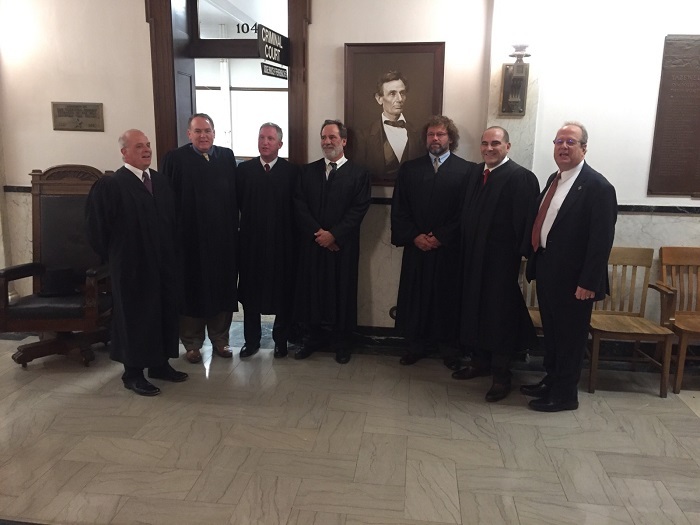 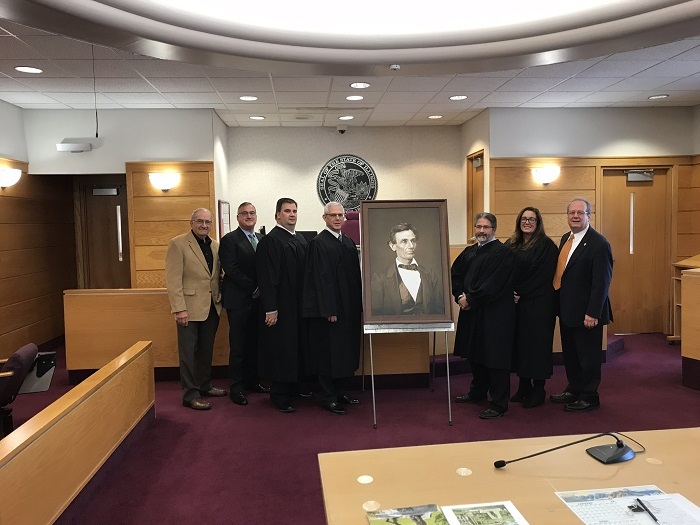 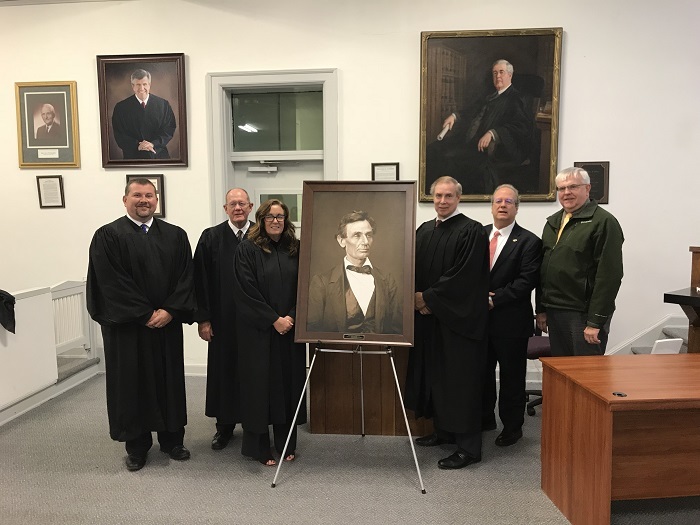 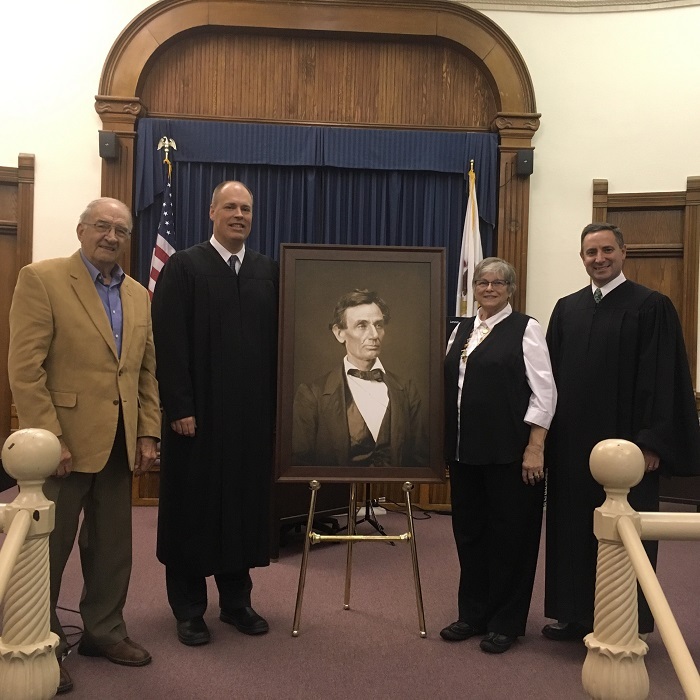 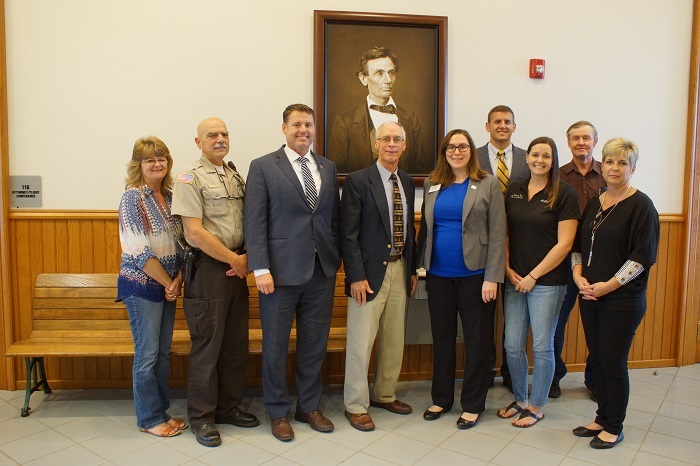 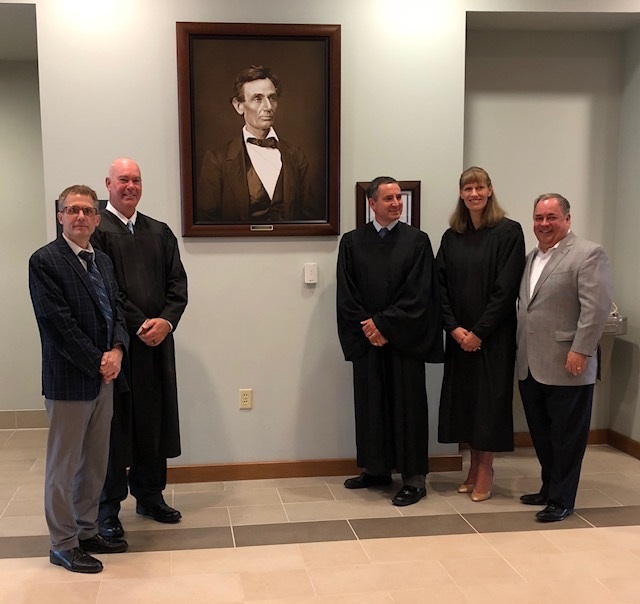 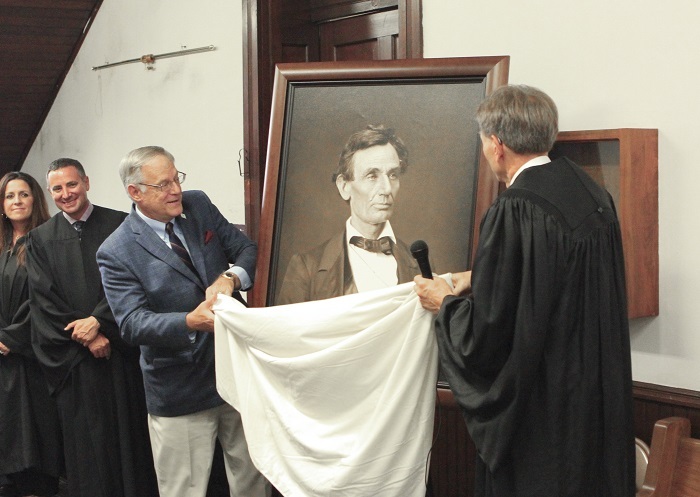 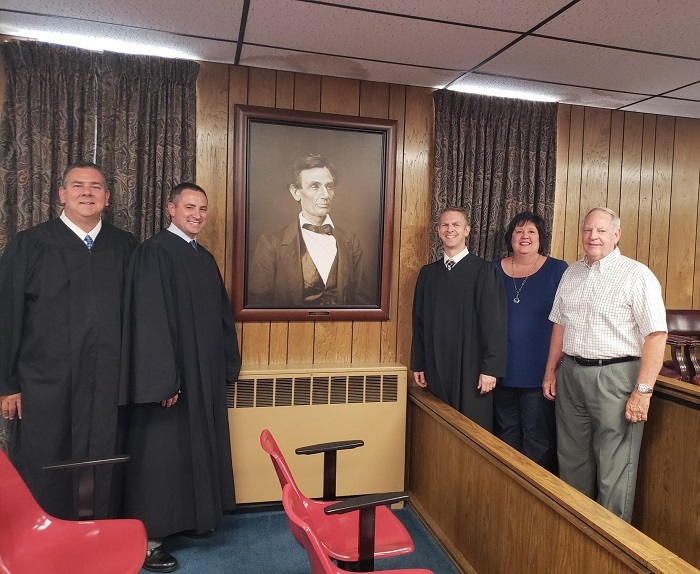 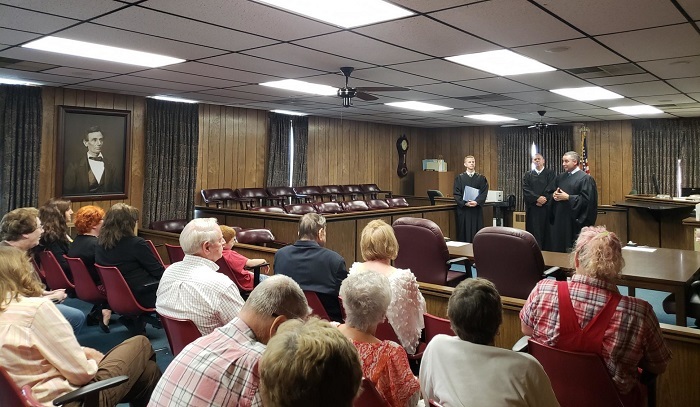 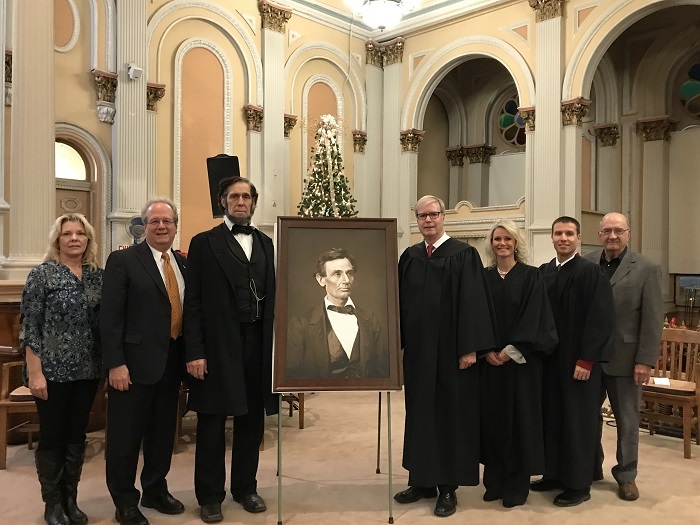 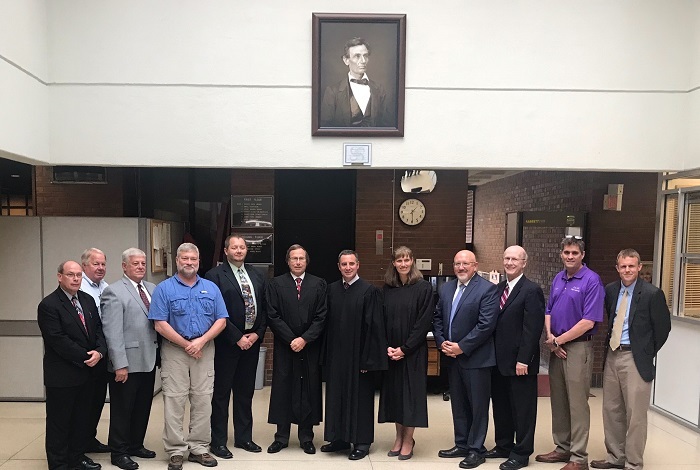 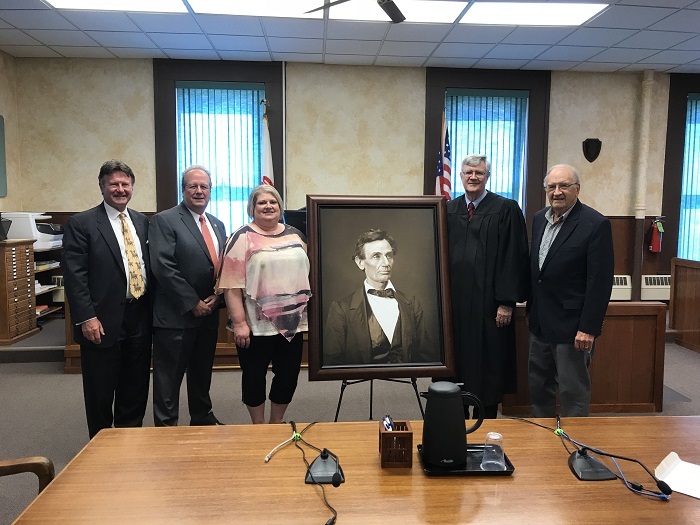 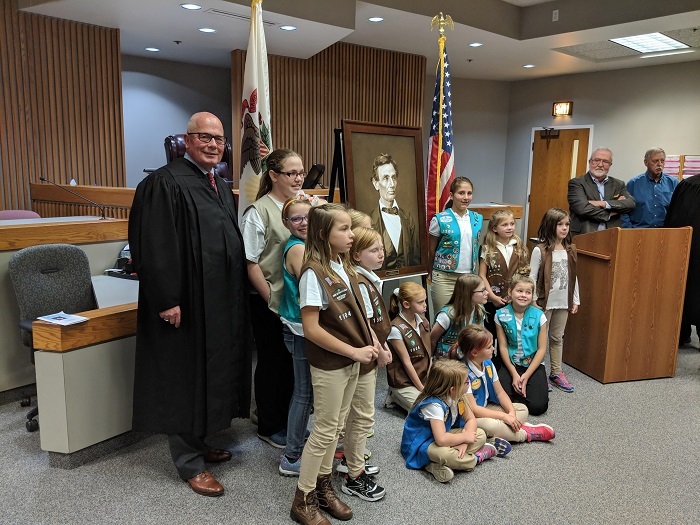 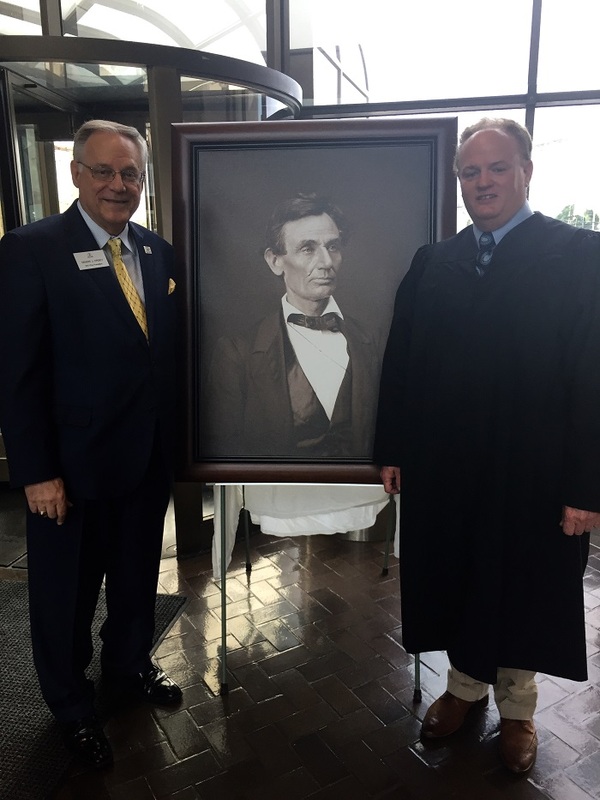 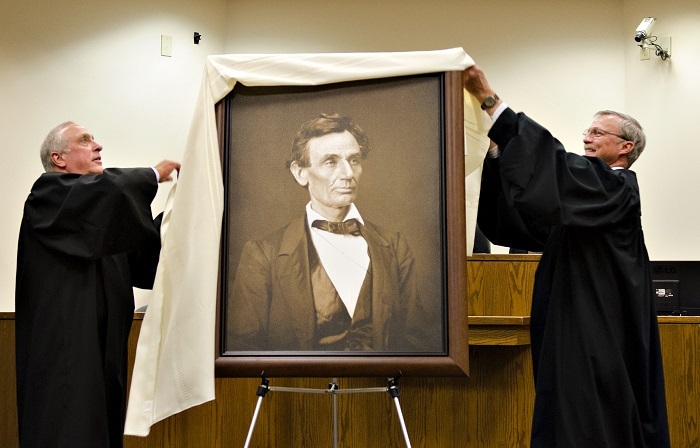 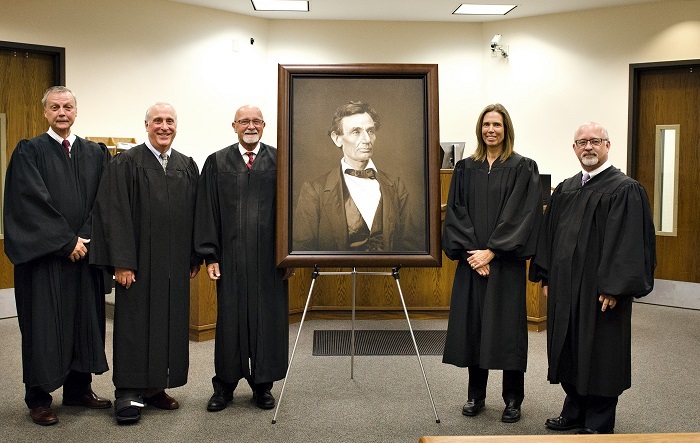 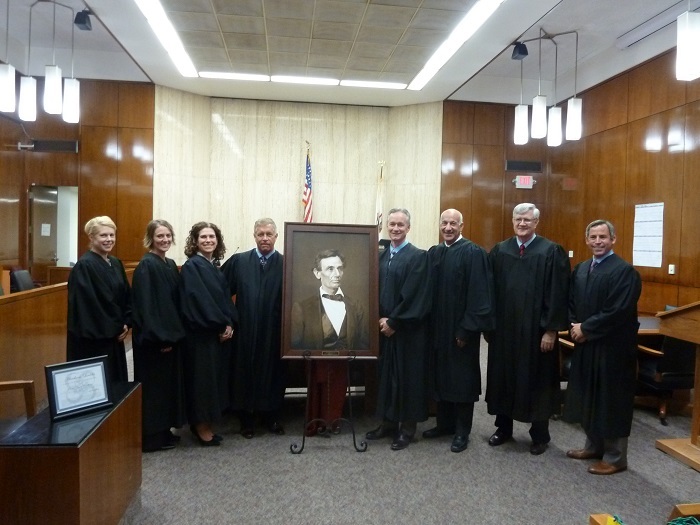 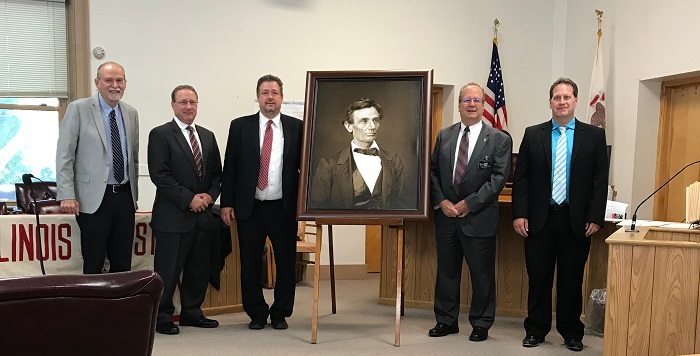 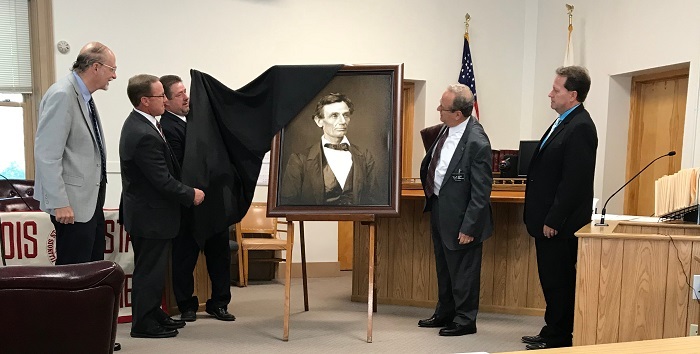 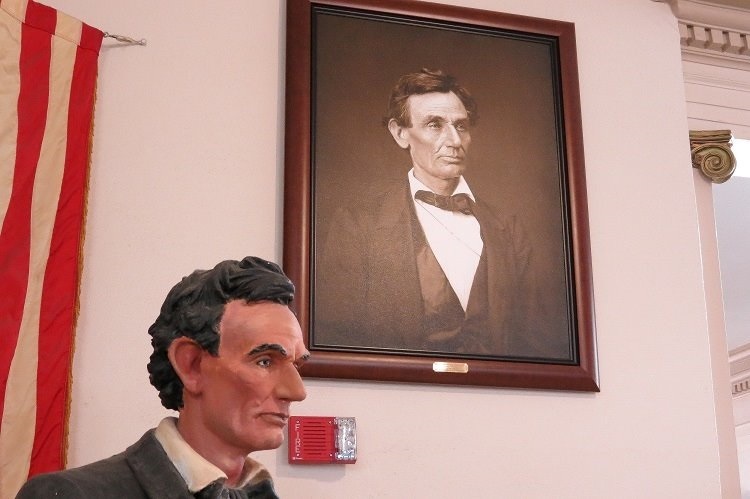 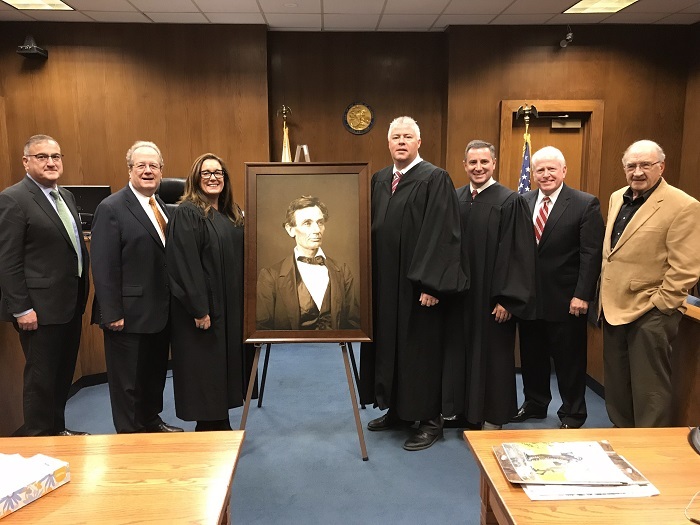 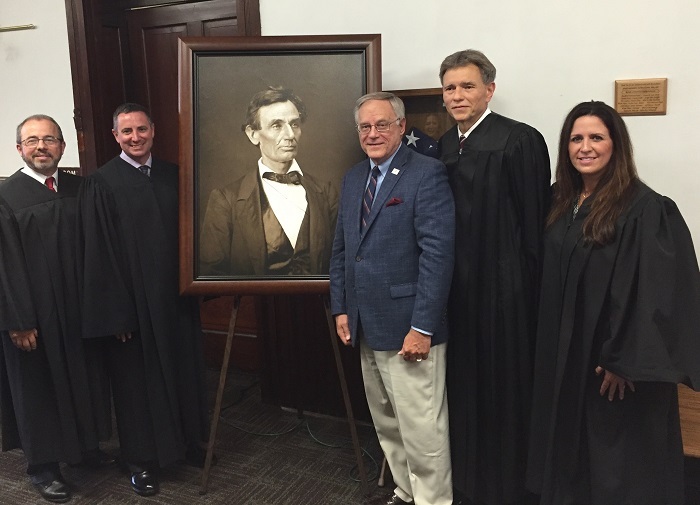 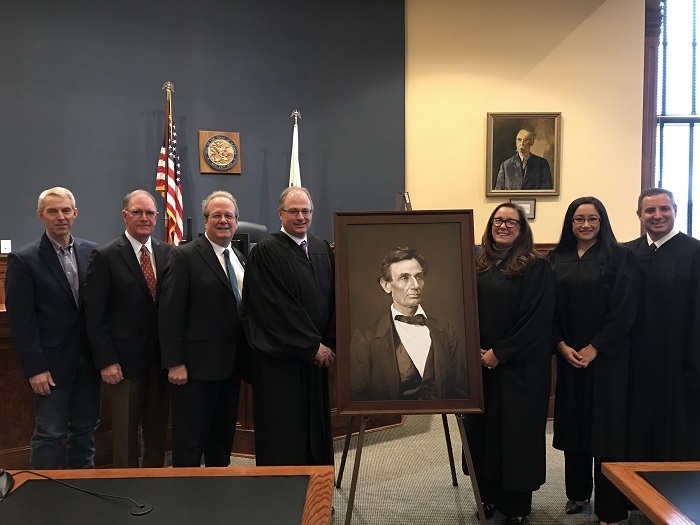 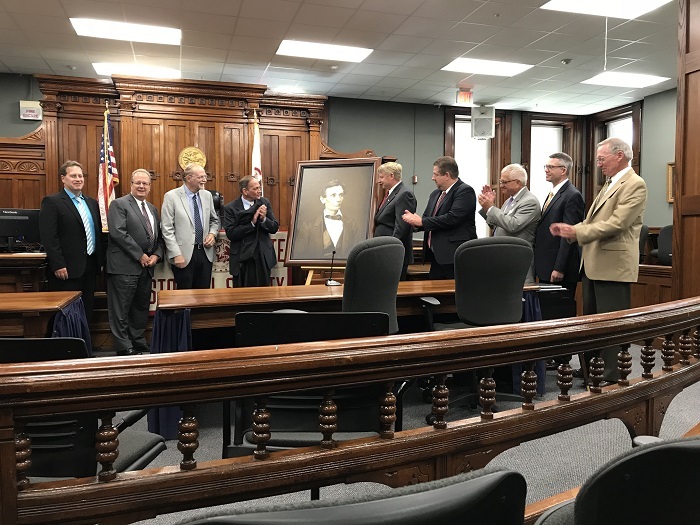 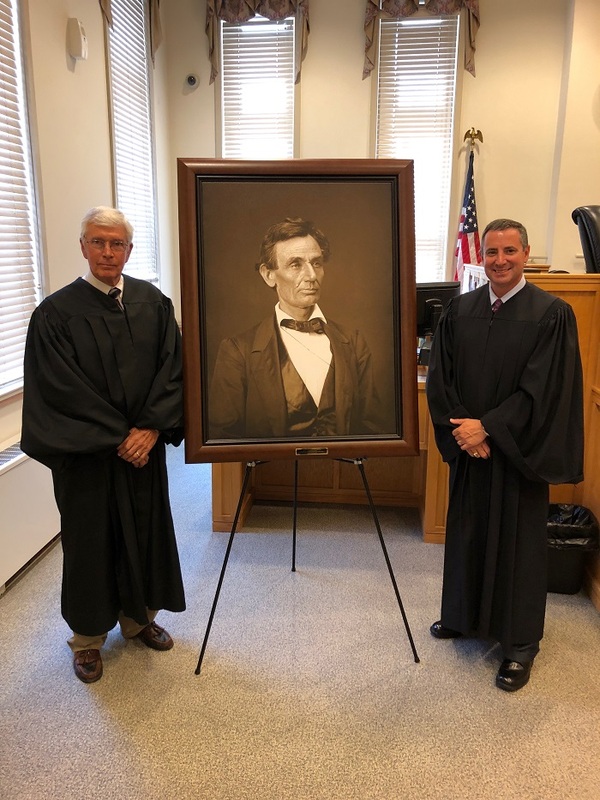 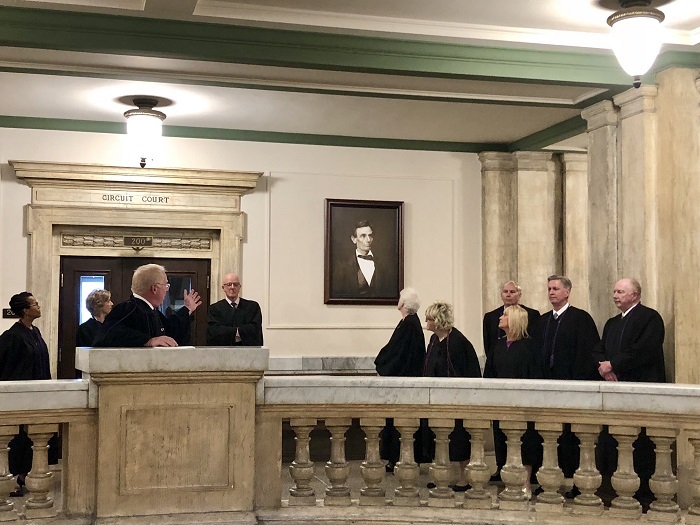 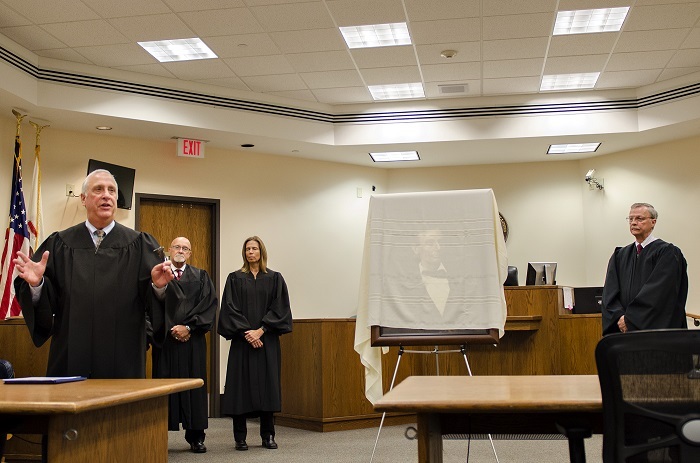 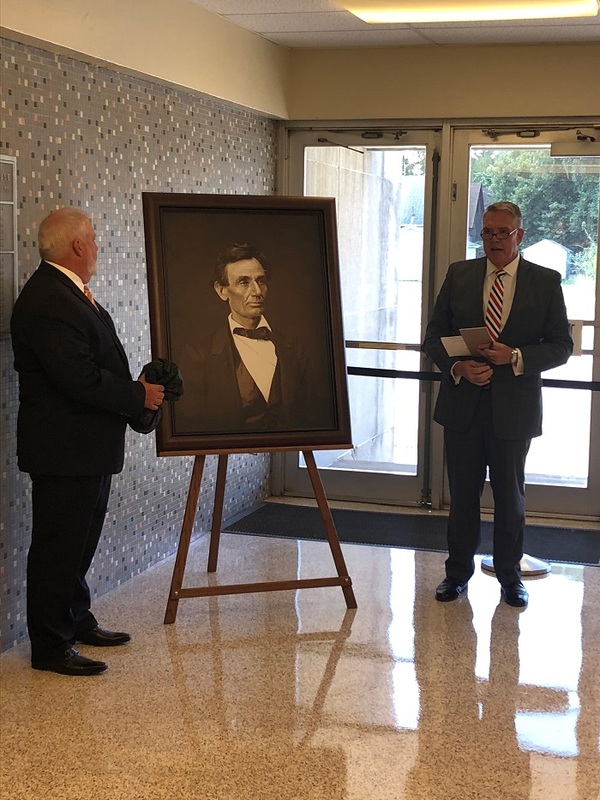 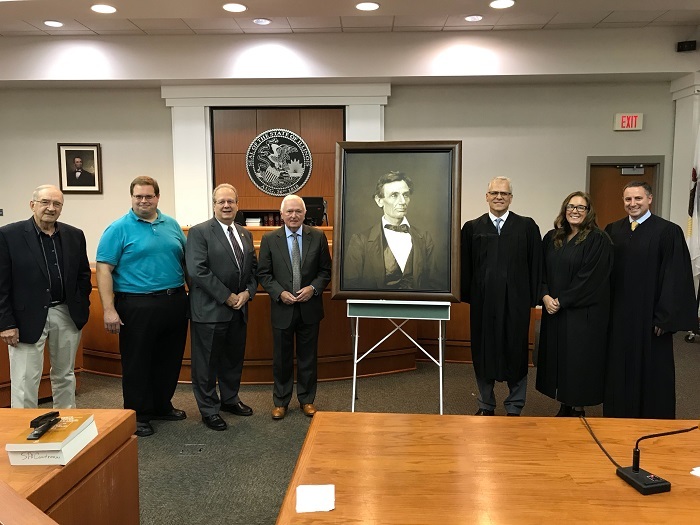 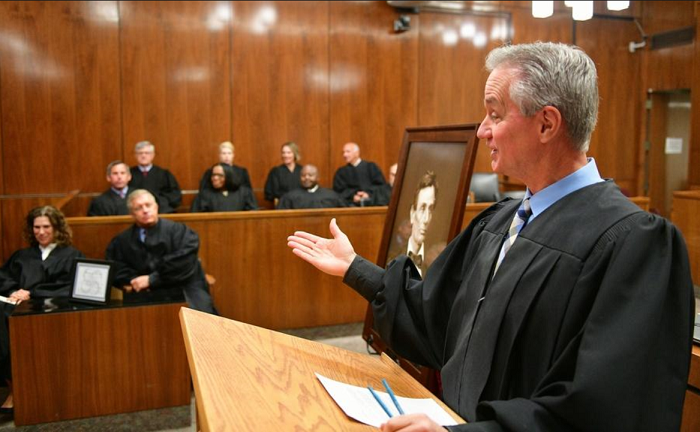 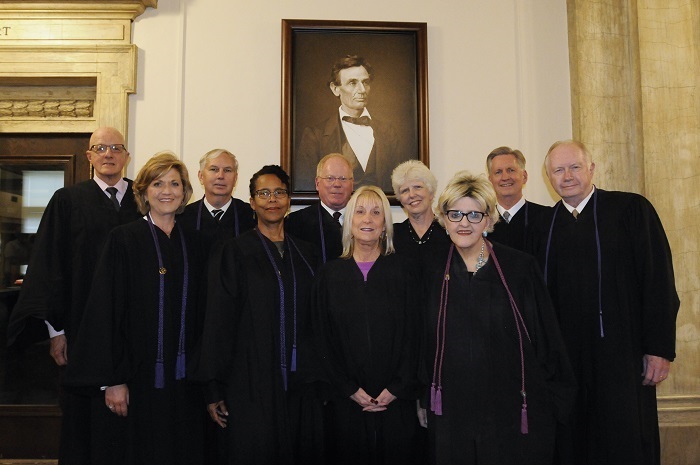 The ISBA is part of a statewide campaign to place a framed copy of a famous Abraham Lincoln photograph in courthouses in each of Illinois’ 102 counties in commemoration of the state’s bicentennial. 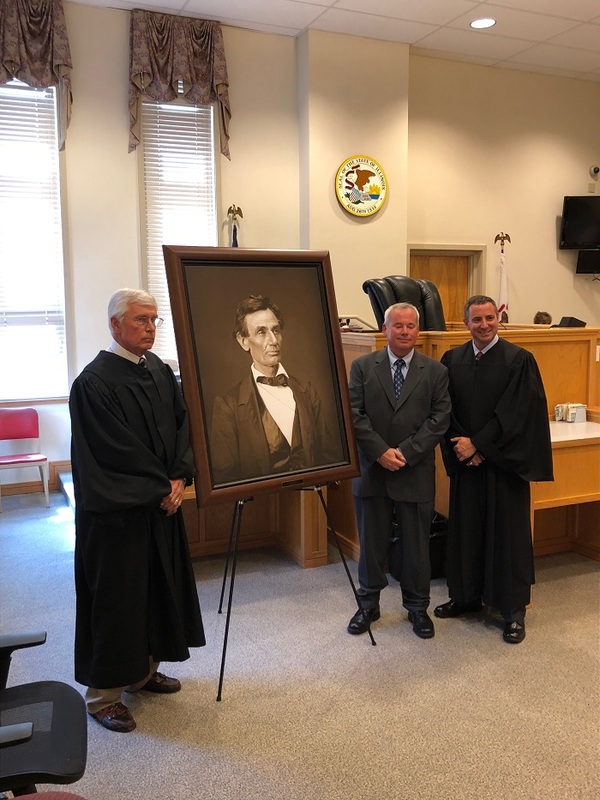 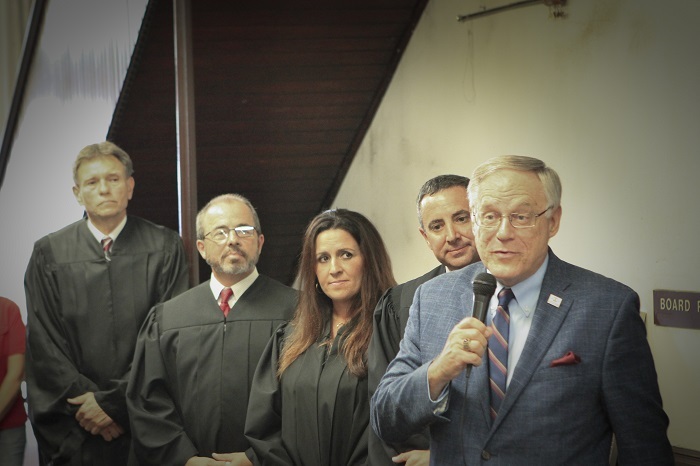 The installations are funded by donations from the ISBA, Illinois Judges Association (IJA), and their respective foundations – the Illinois Bar Foundation and the Illinois Judges Foundation. 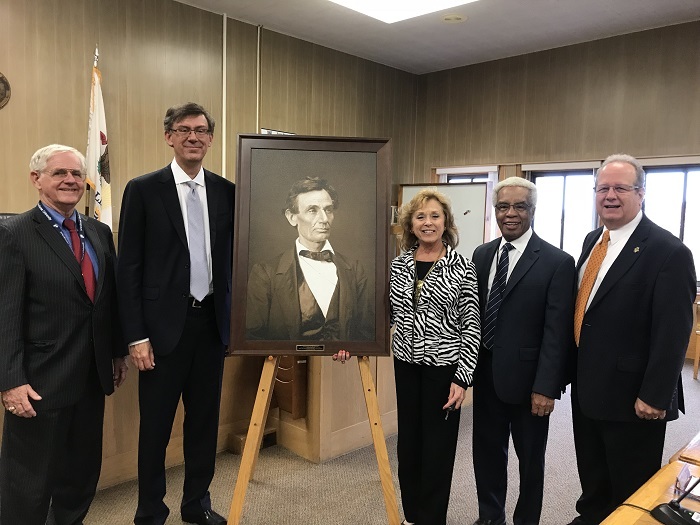 The four organizations are partnering with the Illinois State Historical Society (ISHS), which owns the glass-plate positives of the portrait.